My oldest daughter loves crafting and tape is one of her favorite things on the planet. I feel a little guilty for never having introduced her to washi tape. Actually I am feeling a little silly that I didn't think to buy her some for her Christmas stocking. 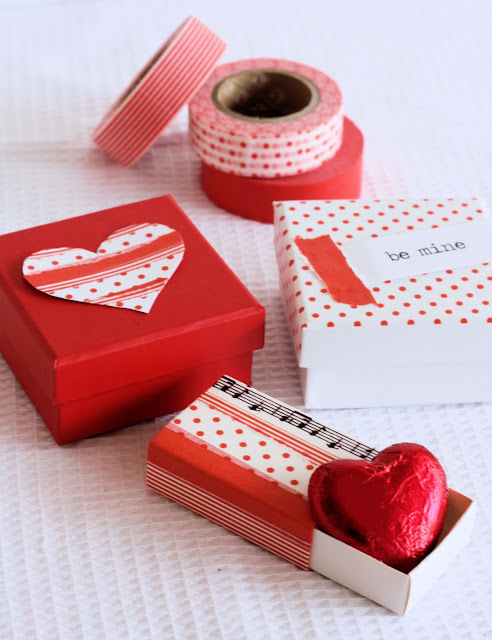 She may just have to be introduced to in before Valentine's Day, because I am pretty sure that she would love making something like these washi tape valentines for her friends at school. You can check out these fun washi tape valentines over at A Spoonful of Sugar.